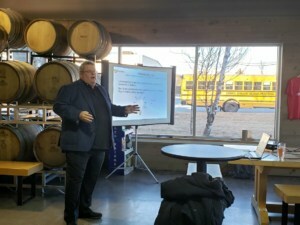 I wanted to thank everyone in the IES Halifax section who came out to Spindrift Brewery in Dartmouth for my presentation of Photometry 101. We had a great group of people and great discussions. It also didn’t hurt that is was in a brewery, a first for me! Thank you for all of the hospitality!